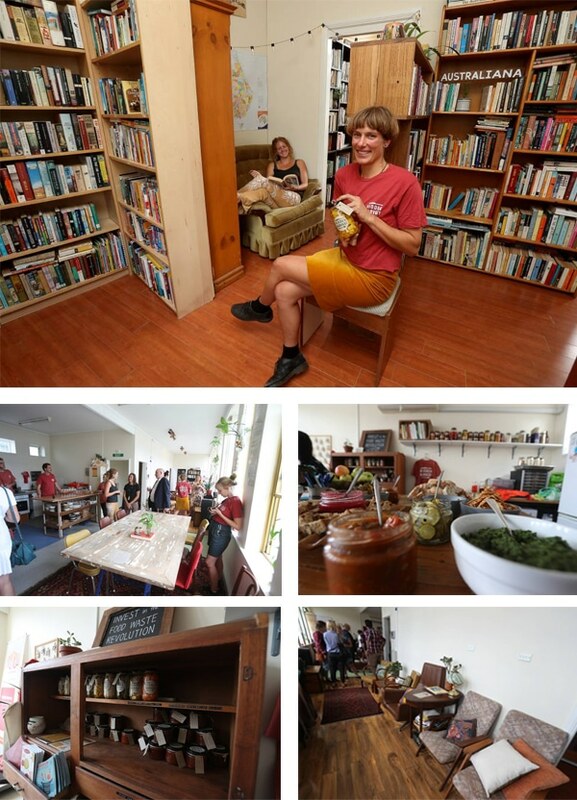 Congratulations to 274 Crown St – the first Renew Wollongong participant to open their doors! 274 is a collaboration between two local initiatives Hidden Harvest and Society City. They share a passion for challenging the way we consume in the vital areas of food & stories. Hidden Harvest, a volunteer-run organisation, will host pop-up dinners, events, and workshops revolving around reducing food waste. Society City is member-owned and operated and will run a second-hand bookshop, zine library, co-working space, free school and hold events. Check out their warm and welcoming place located upstairs at 274 Crown Street. Opening hours are 12-6pm Monday to Friday, 10am to 4pm Saturday and for events. Local artist Gennifer Anderson has just opened her Gallery which is right on Crown St Mall (next to H&M). She has activated her space really quickly and doors are open for business. Be sure to pop in and say hello. 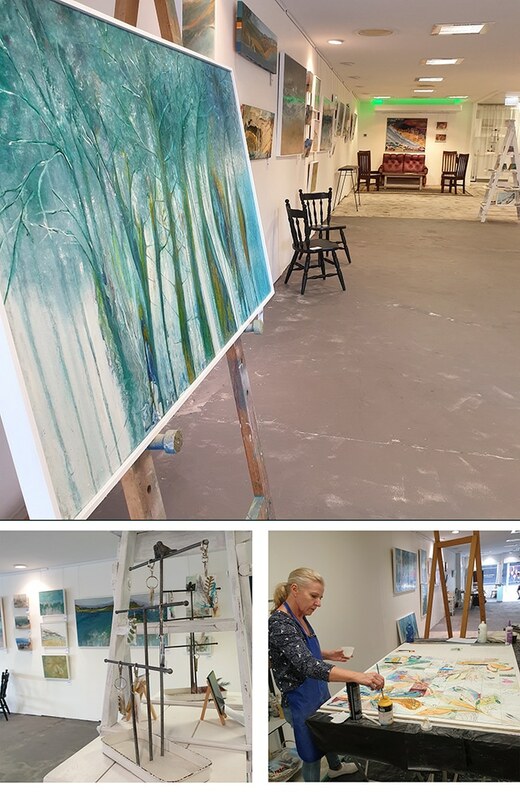 You’ll find a gallery style exhibition area, studio space where you can see artists in action and do workshops. Gennifer will be inviting other artists and community groups to exhibit in her space and offer workshops. Check out some of the amazing events that Renew Wollongong participants are holding in Wollongong CBD. Property partner Knight Frank Illawarra. We’d like to say a giant THANK YOU to our first property partner – Knight Frank Illawarra. 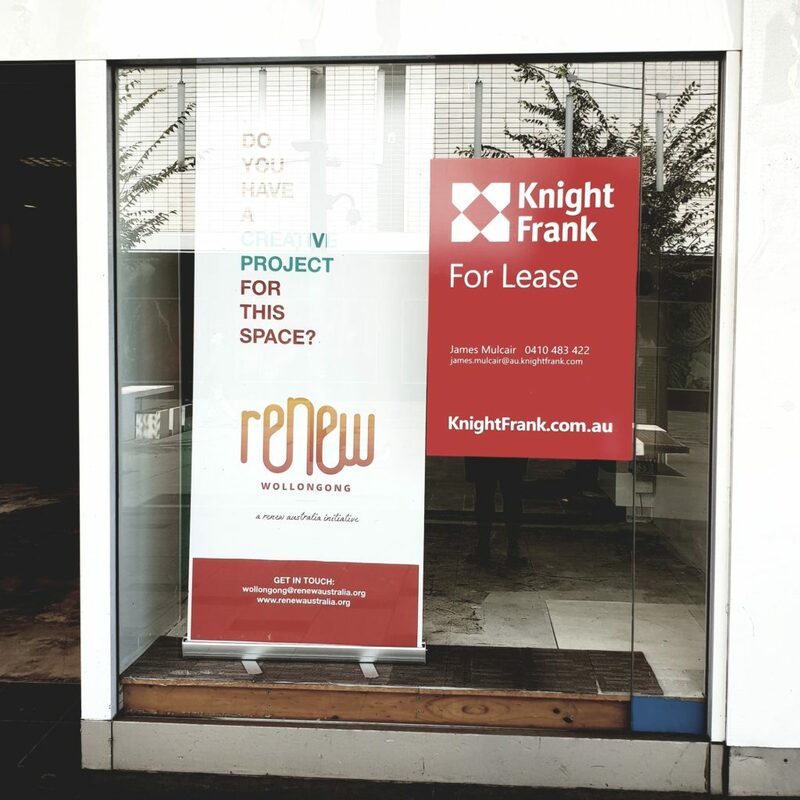 James Mulcair, Chelsea Rea and the team at Knight Frank Illawarra manage both properties activated in the project so far, and we really appreciate their support of Renew Wollongong. Thank you to property owners Kathy Tambakis and Oli Vujic. What’s in it for property owners? Renew Wollongong is actively approaching property owners and agents with vacant commercial spaces in Crown St Wollongong be part of the project. With over 40 creative projects and businesses looking for space in central Wollongong, we have wealth of exciting projects and ideas ready to utilise and activate empty shops and offices. Renew is often asked why property owners would provide spaces for creative projects free of charge? In addition to supporting local creatives, the benefits are significant. The property is open, engaging and cared for, rather than boarded up or shrink-wrapped, reducing the chance of vandalism, increasing the appeal of the property and assisting potential long-term tenants to visualise their own business in the space. The ordinarily empty property will contribute to creating a vibrant and marketable precinct for potential shoppers. Participants are on a 30-day rolling licence agreement therefore, 30 days notice can be given at any time. The participants pay for utilities and look after the property. Renew Australia provides public liability and broken glass insurance for the property. If you have a property that has been vacant for an extended period of time and needs a breath of creativity contact Alice at Renew Wollongong for further details and a tour of our recently activated spaces.